Zinedine Zidane made his return to the Estadio Santiago Bernabeu on Saturday, facing Celta Vigo just as he did in his last La Liga game at the stadium only 10 months ago. Back in the Real Madrid hotseat, he made a clear statement with his team selection right from the off, dropping Thibaut Courtois but also recalling some of his former stalwarts, such as Isco and Marcelo. 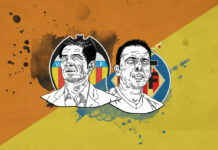 It was not the freeflowing, awe-inspiring run-out that some had hoped for, but it was fate that it would be Isco, who never made a La Liga start under Santiago Solari, who opened the scoring. 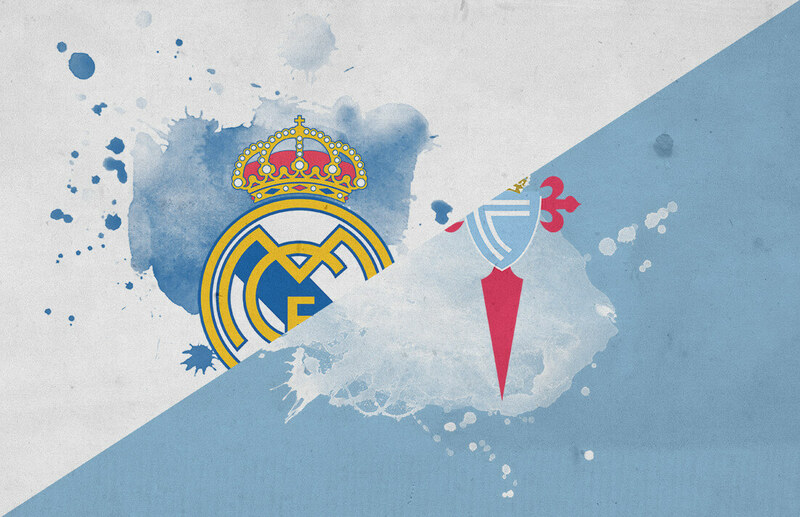 Gareth Bale added a second with a fine effort which deflected off the post and in, coming from a Marcelo assist, to seal a 2-0 win over relegation battlers Celta. Our tactical analysis will use statistics to identify what key points Zidane can take from the game. Zidane made five changes on his return, including some big decisions. Right from the off, Zidane made a statement. Courtois, Sergio Reguilon, Dani Ceballos and Nacho were out, alongside the suspended Casemiro, as Keylor Navas, Sergio Ramos, Marcelo, Isco and Bale returned. It was almost a flashback to his last game in charge, when only captain Ramos, who was rested last year, Marco Asensio, who came on as a substitute, and Alvaro Odriozola did not start. Celta Vigo also made a change with Pione Sisto coming in and Kevin Vazquez replacing the suspended Hugo Mallo, though the absence of former Liverpool man Iago Aspas remains sorely felt. Few expected Zidane to be quite so cut-throat so early on in his reign. The main headline came in goal, with Navas chosen in favour of Courtois. The Costa Rica international made one incredible save from Maxi Gomez, but was not truly tested. The other big calls featured the return of Marcelo and Isco into the side, with the latter getting on the scoresheet in his first La Liga start since October’s Clasico. 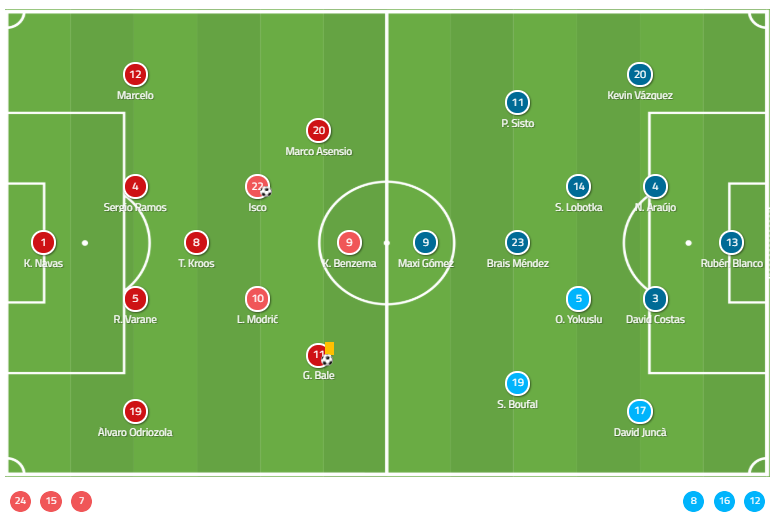 Perhaps strongest of all was the display of the Brazilian left-back who came into the side after much criticism. He was devastating in attack, continually bombing down the left flank to support Bale, overlapping and cutting inside. Of Real Madrid’s 36 attacks, over half came down the left and it was responsible for a huge 95% of their xG generated from positional attacks. With no Dani Carvajal on the right, Real Madrid reverted to Marcelo as their main attacking outlet when pushing out from the back. Much of Real Madrid’s attack came through Marcelo and Bale down the left. Not since the defeat to Levante on home turf in October has he made more crosses. With nine attempts, four successful, he was fundamental to Real Madrid’s attacking play, making five dribbles and five progressive runs down the flank. Defensively, he will have more challenging afternoons, but he stood up to the challenge and looked a real threat in attack. Reguilon, who some will believe was harshly dropped, will have been looking on with fear. Perhaps an unexpected impact of Zidane’s return was the spectacular display from Gareth Bale. However, this was not just a change in how he was used tactically but also in his approach to the game. He pressed high, showing incredible desire and drive to close his man down at all times and put him under pressure. It led to six ball recoveries, two in the Celta half, a figure higher than in his past five appearances combined and his highest for a single game since September 2017. For Bale to revive his Real Madrid career, it is going to be all about putting the hard work in. Zidane is claimed to have demanded more from his players, and such efforts from Bale will have made a good impression. Fans will also appreciate seeing it, even when the goals aren’t flowing. Such an approach is crucial to Zidane’s high-press style, and may see that the forward play his way into his long-term plans after all. As Marcelo cuts in, Bale occupies the central space he has been craving all season. He was also impressive in how he took his goal. The free-flowing movement between the front three allowed Bale to move centrally as Marcelo burst down the flank, finding himself in a central position. It’s an area where the Welshman has been seen far too infrequently this season. Finishing with power and precision, he showed what he is capable of. Whether this is merely an audition to put himself in the shop window or the start of a recovery in form can only remain to be seen, but it’s a promising start. Alongside Bale in attack was Marco Asensio. It was a real ‘before and after’ kind of display for the Spaniard, who really got going after passing the half-hour mark with renewed confidence and energy. Under Julen Lopetegui and Solari, he frequently looked hesitant and reluctant to take his man on, running into dead ends. Instead, under Zidane, he was daring and brave and made a season high seven progressive runs as he brought the ball forwards. There was no better example than in the first goal, picking up the ball 40 yards from goal. Faced with a choice of running into space down the wing, he instead cut inside and took on several Celta Vigo defenders, leaving four for dead. Once on the edge of the box, he had the composure to wait and tee up Karim Benzema with an inch perfect through-ball. It split the defence and allowed the Frenchman to cross to Isco to tap into the back of the net. Asensio showed confidence, which has been lacking, to drive inside and take men on rather than run down an empty flank. He then picks out Benzema with a fine pass having carried the ball 20 yards, helped by superb runs from his team-mates. The movement of the front three was a key element again with this strike. Bale cut across centrally left Kevin Vazquez hesitating, deciding whether to follow Bale or Benzema, and Asensio timed his pass perfectly to exploit that. With Isco having taken up Asensio’s spot on the right, it was an expert display of how attacks can be planned with movement. Under Solari, too often there was a lack of organisation and chaos in and around the box, but already Zidane is showing signs of improvement. That also plays into another area where there was a key difference in Real Madrid’s play. Again, the introduction of Marcelo and Bale worked to a tee as Los Blancos looked deadly on the counter, making seven counter-attacks, far higher than their season average of 4.29. 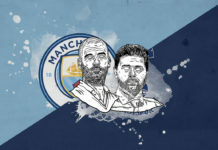 At the Bernabeu and against a side fighting relegation, that may be a surprise, but it reflected the way that Zidane is clearly looking to re-imagine the way that his team get forward once in possession. Without the pace and guile of Cristiano Ronaldo, the ball came down the flanks through Bale and Asensio. 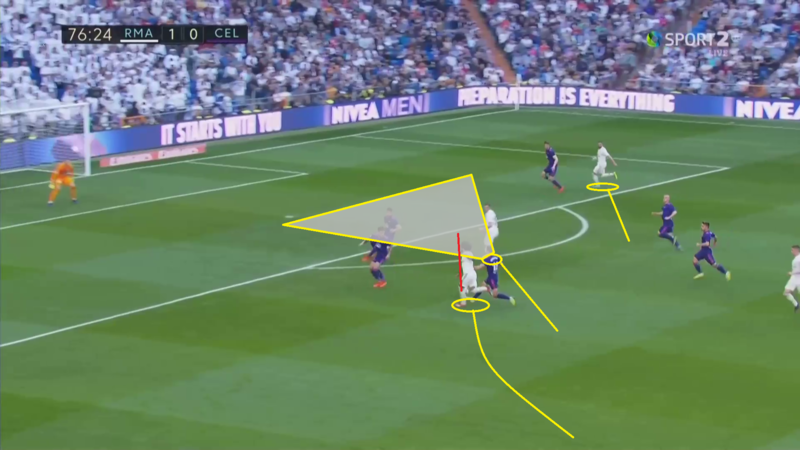 With a change at full-back, with neither Carvajal nor Reguilon taking up their usual positions due to injury and Zidane’s decision, it also meant that the attacking force came down the left of Marcelo, rather than the right. It was an intriguing insight into how Zidane’s side will take on challenging games, even though there may not be a real test until next season. Real Madrid’s attacking play was focused on the counter, almost doubling their season average for counter-attacks. It was a more direct approach which found its foundations in midfield. Without Casemiro, Luka Modric was the man who played in the deeper midfield role, contributing more defensively than usual. That meant that his impact was limited in attack and he could not take up his more typical playmaking role. 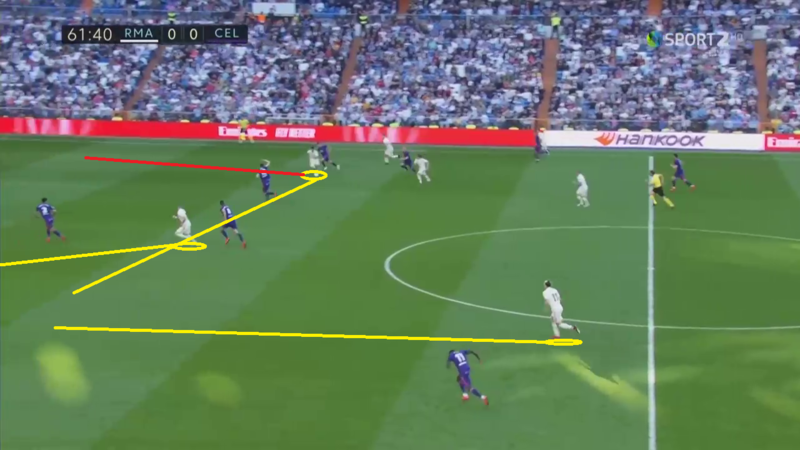 With that in mind, less of Real Madrid’s play came centrally as they instead exploited the pace down the wings with the full-backs bombing on in support. 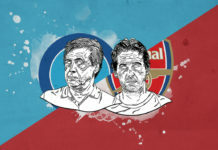 This was not the stunning turnaround of an unrecognisable side which some had been hoping for. However, there were some very promising signs. While Celta Vigo performed far better than a side fighting relegation, they did not seriously threaten beyond Gomez’s first half header. Real Madrid took their time to break the deadlock. Once it came, it gave players like Bale and Asensio the freedom and belief to operate more freely, clearly boosted by Zidane’s return. Finally, there is hope for Real Madrid fans after a difficult season.